Now at Auction! Update: Sold! This 16×20 original painting on stretched canvas is available this week direct from the artist (me). Title: “Revolution” – acrylic. Two Japanese fighting fish….this is one way to start a revolution. 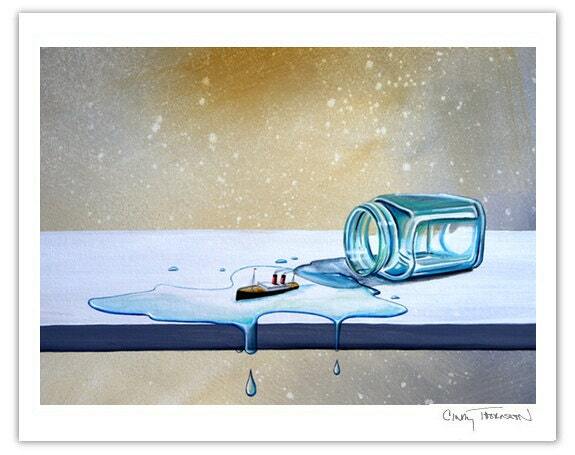 Water and space are used quite a bit in the Seafarers and Legends series. Two beautiful fish are on the chase, and their bubble trails create this planetary of a movement piece. 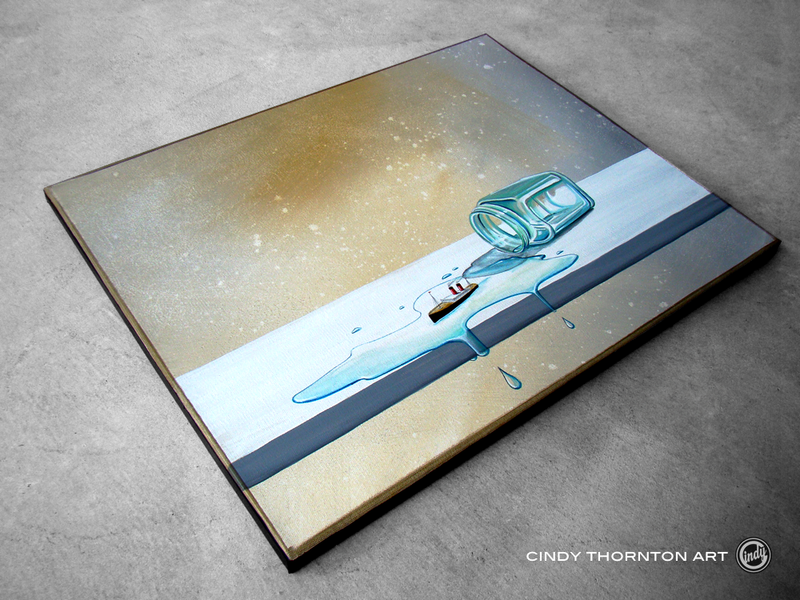 New print available from Cindy Thornton Art! 10 signed limited editions are now available either through etsy or eBay. Just for fun, some small windy paintings from the studio this week. See them in my etsy shop.